Our smartphones have quickly become the most important gadget in many of our lives. They go everywhere we do, keeping us organized and connected to work and family. The right smartphone accessories can help make your life a little easier. From keeping powered up to getting a better grip on your phone, we rounded up the best phone accessories under $50. 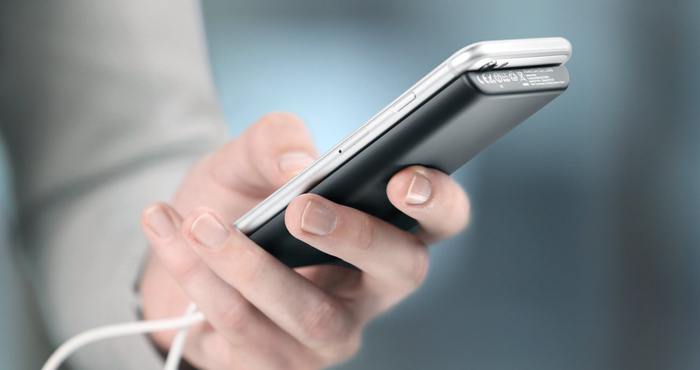 Wireless charging isn’t only convenient, it’s fast and flexible. 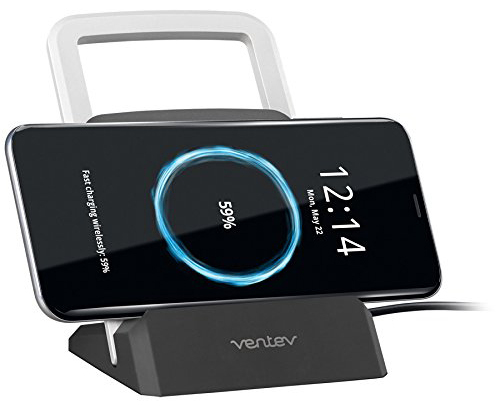 Ventev’s Wireless Chargestand doubles as an adjustable phone stand so you can use it in either landscape or portrait mode. That way you can glance at your phone for messages while working, or relax and watch some videos while your phone is charging. You won’t watch for long though since the Chargestand supports Fast Wireless charging. The 15W output can charge most phones that support fast charging up to 60 percent in a half hour, according to Ventev. It supports the latest wireless technologies; Qi and PMA, which means it works with the latest Samsung and Apple smartphones. 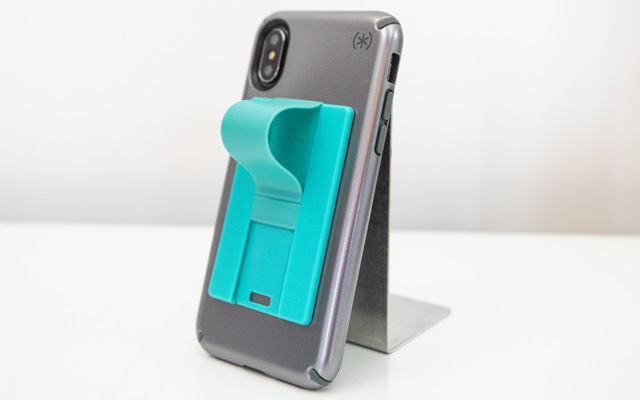 And, we like the convenience of not having to take your phone out of the case to charge it and the flexibility of the Ventev puck which can be removed from the stand to charge your device flat on a table. Smartphones are great for keeping us connected but they have one major drawback; they tend to run out of battery way before we run out of daylight. For power users who want to go well into the night, a portable battery charger is a must. Anker’s PowerCore Slim 5000 external battery is the perfect size to fit in your purse or backpack and, with a 5,000mAh capacity, packs enough portable power to recharge your smartphone one to two times. LED lights let you know when the power bank is full or needs to be recharged. The PowerCore Slim 5000 has a silicon shield to keep from scratching your phone and comes with a travel pouch and Micro USB cable for charging the battery. If you’re looking for portable power that doesn’t add a lot of bulk or weight to your bag, this is the one. 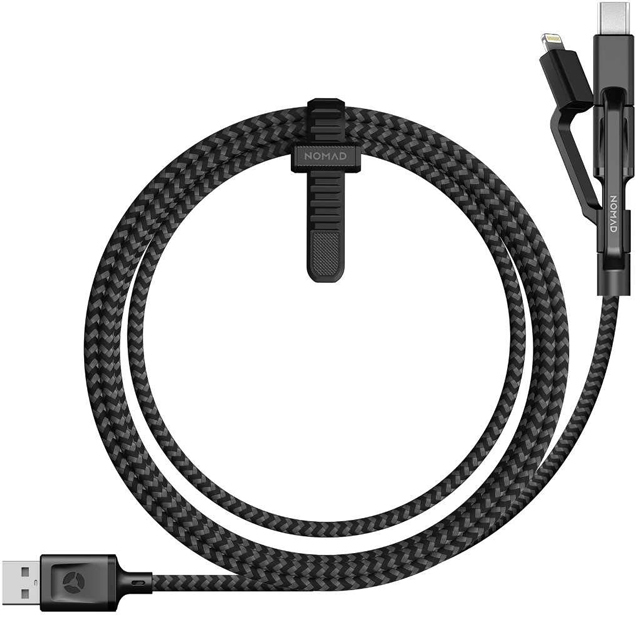 Juggling cables for different devices can be a huge pain, especially if you have an iPhone and your significant other has an Android device that uses Micro USB or the newer USB C. Nomad’s Ultra Rugged 1.5M USB A to Micro USB Universal Multi-tip Charging Cable has you covered with just one cable. It’s an MFi certified Micro USB cable with integrated Lightning and USB C adapters so you always have the right tip when you need it. It’s made of braided ballistic nylon so it’s soft and flexible, but also strong enough that it won’t fray after being bent a bunch of times. While you can’t charge multiple devices at the same time, this is a great all-in-one solution for travel and charging devices on the go. Even with a grippy case, it's easy to fumble your phone. 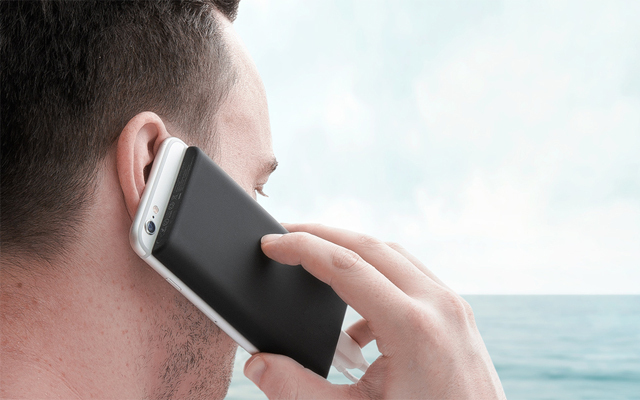 With Speck's GrabTab, you can secure your phone by slipping a finger through its built-in loop. The loop also serves as a kickstand for hands-free viewing. When you're done, the loop lies flat, adding a mere 3mm to the thickness of your phone. Choose from seven colors and patterns. Whether you're at home or on the road, you probably have at least a couple of devices that need charging, like your phone, smartwatch, tablet or Bluetooth headphones. 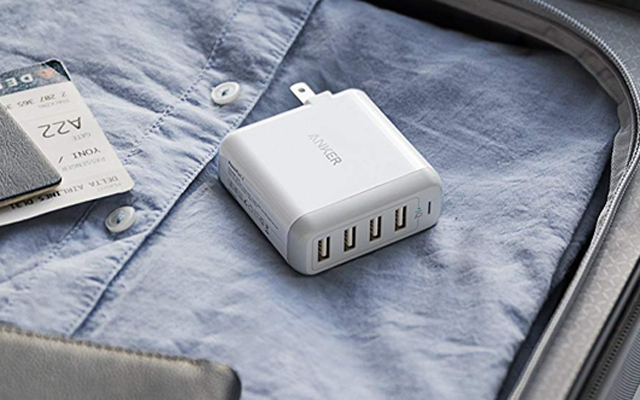 Anker's PowerPort 4 can handle up to four devices, delivering up to 8 amps through one port or 2.4 amps per port — plenty of power for high-speed charging all of your devices. The plug folds in for easy packing and the wall charger can handle 100-240 volt input, which makes it perfect for international travel. For someone with an older car who likes to listen to their own music or podcasts on the go, this small cable can make a huge difference. 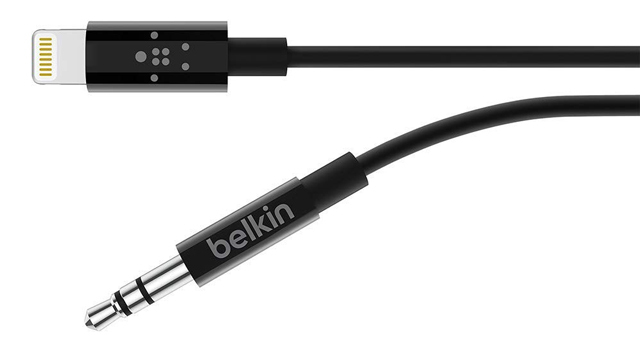 Belkin’s Lightning-to-3.5mm Audio Cable connects your iPhone to your car’s AUX port so anything on your phone can be played through the car’s speakers. It works great with any iPhone that has a Lightning port and comes in 3-foot or 6-foot lengths. You can also use it at home with your speakers or to plug in a pair of headphones (some over-ear Bluetooth headphones can be plugged in when they run out of juice). We spend a lot of money on our smartphones, so it makes good sense to protect them from accidental drops and scratches with a case. 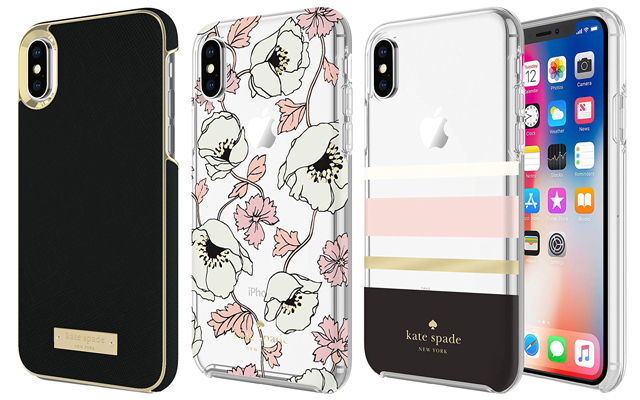 Incipio’s kate spade new york line proves hard shell cases can be both beautiful and protective without adding bulk and weight. The cases are fashionable; ranging in a variety of fun, bold colors and designs. We especially like the floral designs and the signature kate spade bold stripes. They’re also functional with a rigid exterior and a rubberized silicon bezel to absorb accidental impacts.